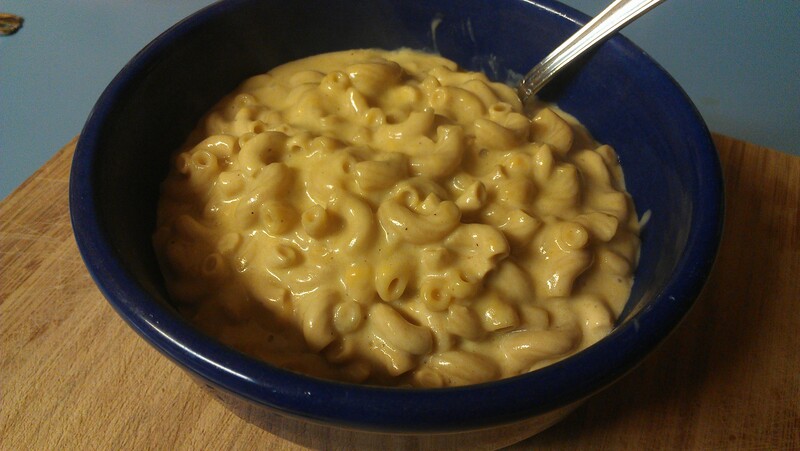 Ever since changing my life style and turning to vegan eating, I have been trying to come up with a mac and cheese recipe that I really loved. I was not pleased with any of the “cheese sause” recipes and I did not like the slimy texture of putting daiya cheese directly over hot pasta. So I have worked and worked to find a recipe that I really liked. I failed over and over again until this recipe. I am offically in love with mac and cheese again. Obviously, if you have read any of my other posts, you know I love my slow cooker. Cooking it in your slow cooker will make the cheese mixture very soft and creamy. And the added benefit is that liquid smoke in anything makes my house smell so cozy. I love it. We all need those comfort food nights every now and then and now I can add this recipe to my “favorite” section. Oil the crock of your slow cooker. Toss all ingredients into the slow cooker and stir to combine. Cook on high for 1 to 1 1/2 hours or until the pasta is al dente. Stir the mixture every 20 minutes. You want to make sure everything is thickening well and that the pasta is not over cooked. After about an hour the mixture should be very creamy and thick, continue to cook for another 30 minutes if the pasta is still crunchy. When done, plate and enjoy. This recipe make four servings and reheats well for left overs.